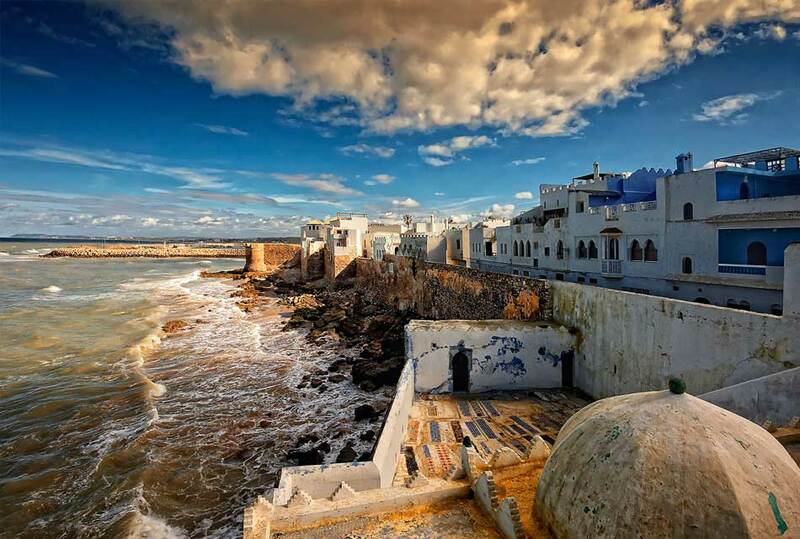 Asilah is a fortified small town can be found on the northwest top of the Atlantic coast of Morocco, about 31 km (19 mi) south of Tangier. 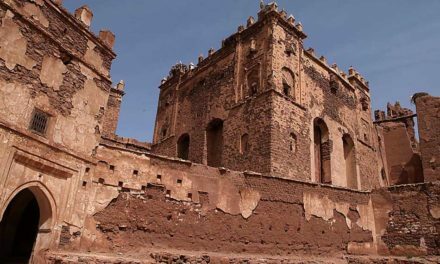 Its ramparts and gate works remain fully intact. Many armies and regions passed on this town starting from Phoenicians and then the Portuguese, even the Pirates passed on this town but at the end Moroccans had it, and The first edition of an art festival known as the International Cultural Moussem of Asilah was launched in 1978 to help generate tourism, The festival features local artwork and music and continues to attract large amounts of tourists. 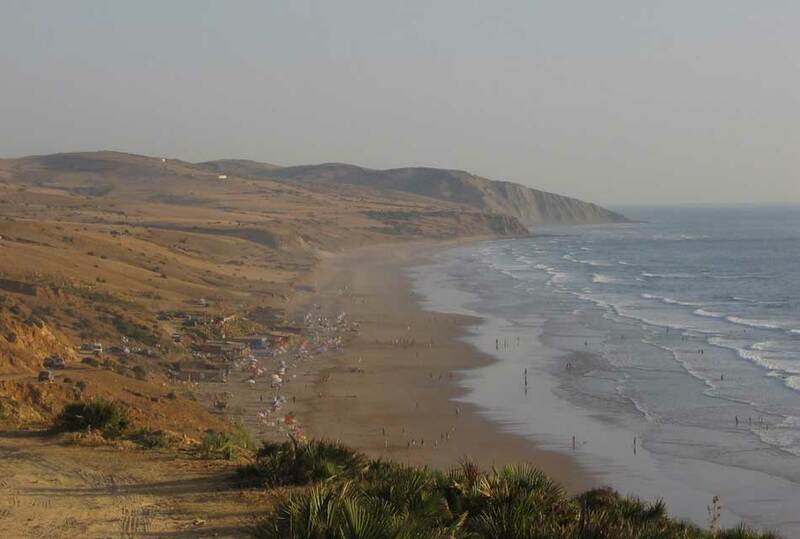 Asilah is now a popular seaside resort, with modern holiday apartment complexes on the coast road leading to the town from Tangier. 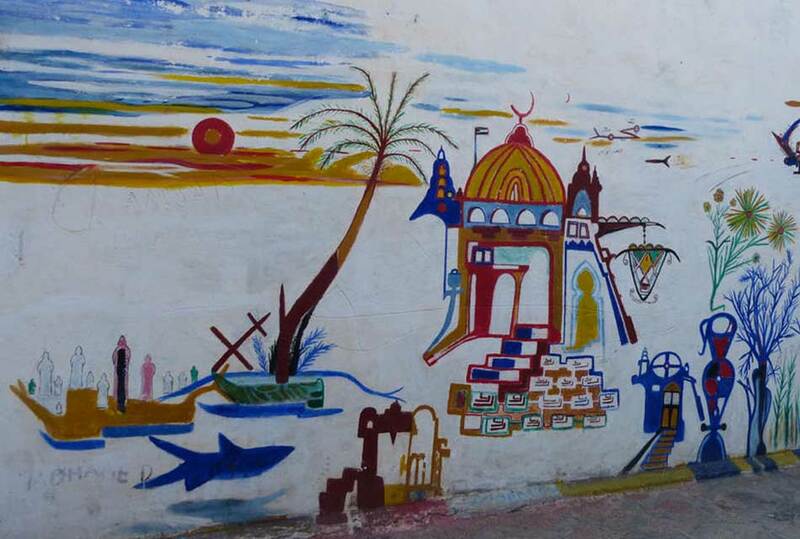 Many art and music festivals are being held in Asilah, like the famous mural-painting festival, and one of the nice habits of this lovely town that every Thursday is the Market day, when all markets and shops open early, and people go shopping on this day to get all their needs. 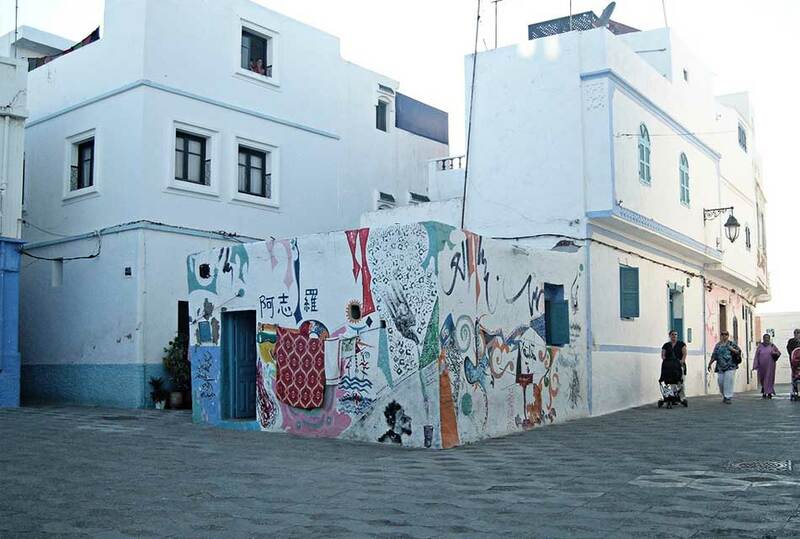 Many green and blue painted wood houses can be seen along the narrow streets in Asilah, the main cultural center is the Centre Hassan II des Rencontres Internationals, which hosts festivals in the summer, among the events held in Asilah, is the International Cultural Festival. 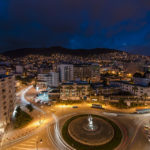 one hour drive from Tangier, and you will get to that old town, one of of the best, cleanest, maintained in the northern Morocco, and with its residential houses which became more fashionable among many Moroccan. 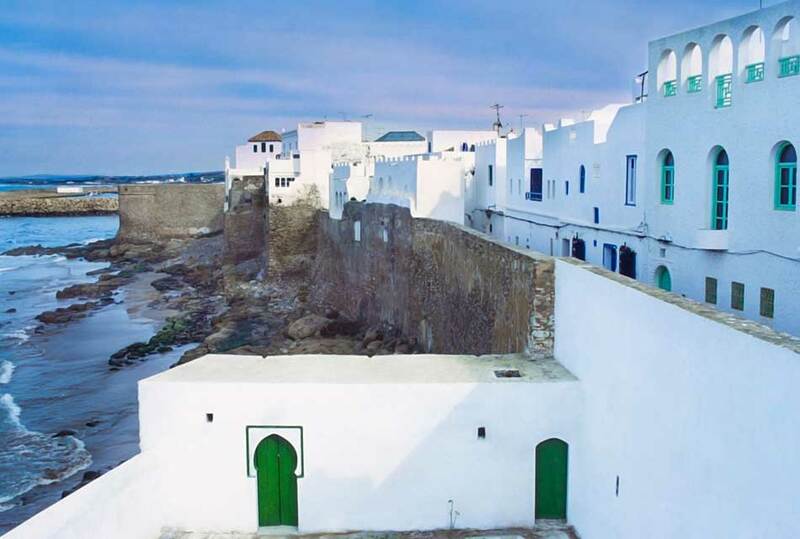 It is recommended to visit Al Medina of Al Asilah in spring than in summer, because it is filled with tourists when it is warmer. 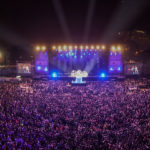 Every year in the month of August is celebrated the International Cultural Festival, aimed at all kinds of art forms. that is a must visit sight when you are in Asilah spending your holiday, it is an amazing beach famous for its beautiful resorts and shops, from this beach you can access the bravest drive flanks the mountain by a torturous path, you have to give this amazing beach a visit and take a walk along its shore, that will be unforgettable. 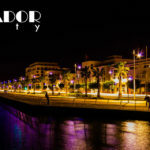 situated next to the ancient Portuguese wall where you can see its architectural heritage is still reflected in the floor of the promenade, this one is a very attractive rocky beach. if you love candy, and you always search to try new types of sweets you do not want to miss visiting Asilah, it is one of the most Moroccan cities that is known for selling sweets on its streets, you can take a walk on the city streets and try almost all types of sweets for less than one euro!, yes sweet prices there, are incredibly low. 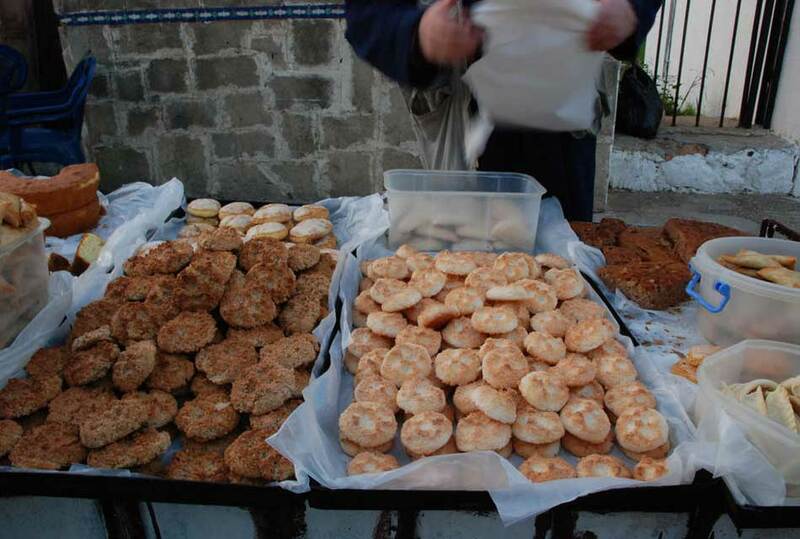 On Asilah streets, you will mostly see Arabic sweets; typically, they are a kind of cart with trays full of these cakes on top. The desserts of “hem” (puff pastry with nuts usually) are the most typical here, with toasted almonds, cinnamon, cream, pistachios, honey and also a raisin and walnut cake, are delicious. Other stalls offer dumplings stuffed with tuna and a kind of wheat cracker. 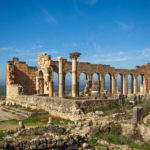 the journey is getting more excited in this town, this place known as Chouahed will take you to a journey in ancient times and ages. 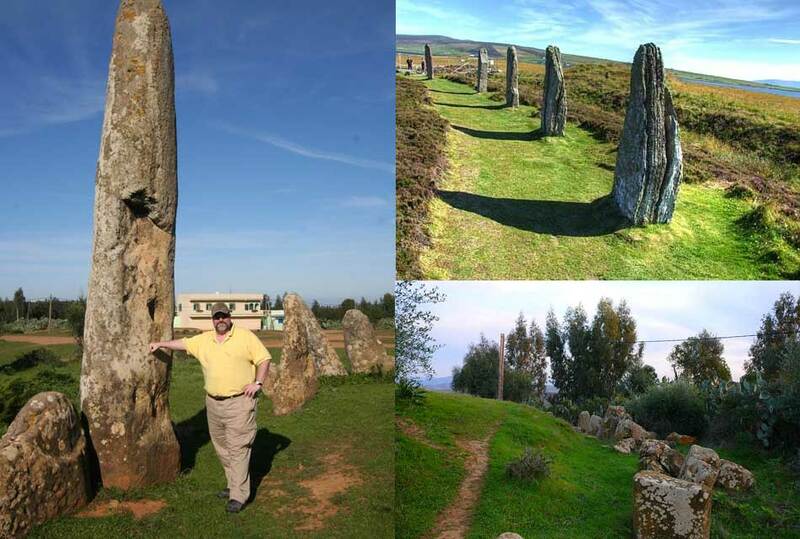 It is one of the most important megalithic monuments in Morocco and Africa. It is a ring formed by 176 men hires, up 5.4 m high, elliptical surrounding a mound of 55 m by 59 m and 6 m high from the ground. 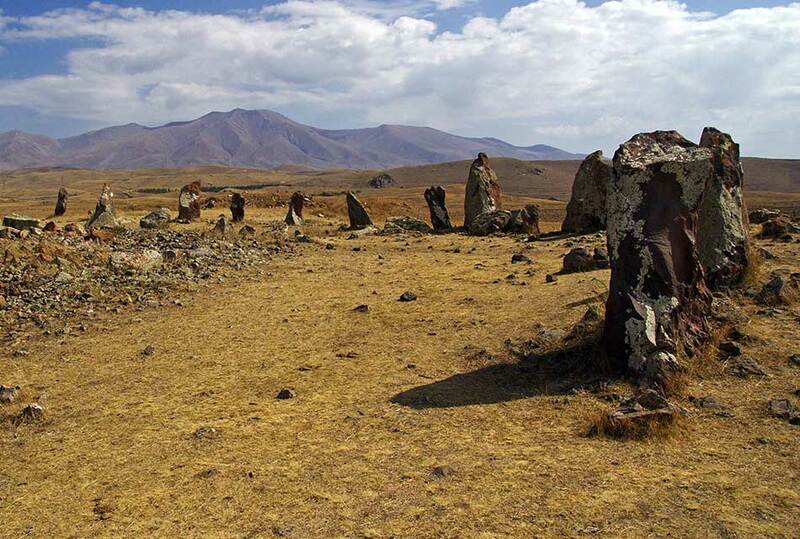 According to the legend, a giant was living in this tomb, the son of Neptune and Earth, This monument is of particular and big importance, and its date back to the fourth millennium BC. 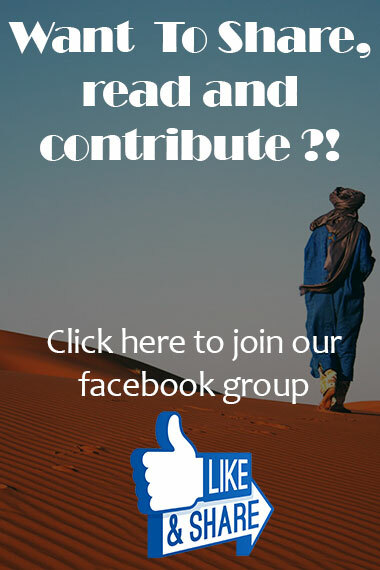 If you still do not feel how excited this place is, then you must give it a visit as soon as you travel to Asilah, and then you come to the comments below and write for us what was your feeling while standing in the giant house, believe me it is more magical than you can imagine!. 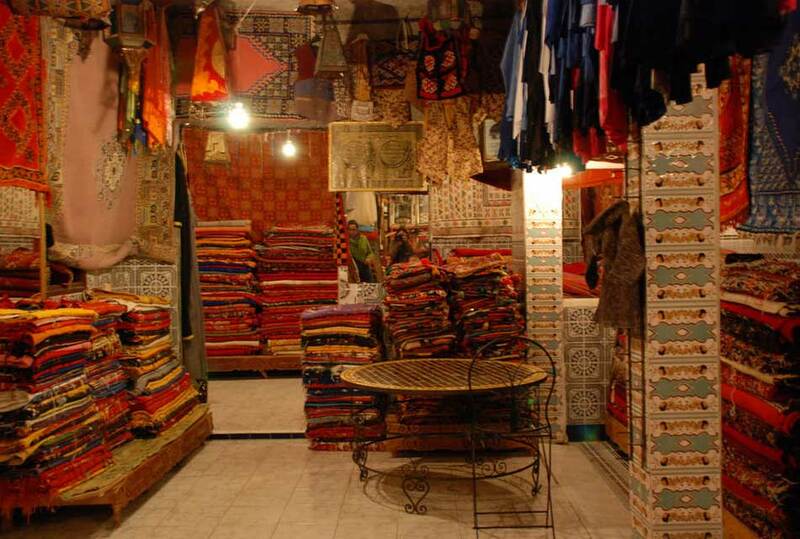 the largest bazaar (souk) in Nashia street which is the smallest street in Asilah town, in this bazaar you may find many things which are not available in another place, a Moroccan furniture imported across the country, Tables, mirrors, chests and chairs stacked craft in this shop. They also have plenty of stock rugs of all shapes, sizes and colors. 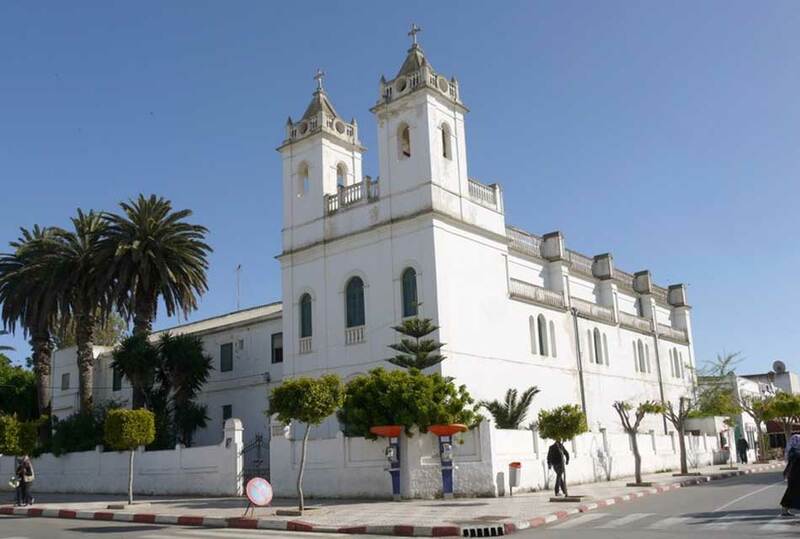 Zellaka is the main square in Asilah, It is so big and huge, also it gives you an idea of how multiculturalism has been for centuries in this amazing part of Morocco, because of its strategic location, its magnificent harbor that has attracted people throughout history to many towns on its shores. 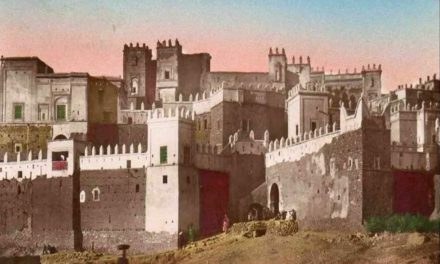 Carthaginians, Romans, Spanish, Portuguese … all of them gone through Asilah, gaining a richer culture. 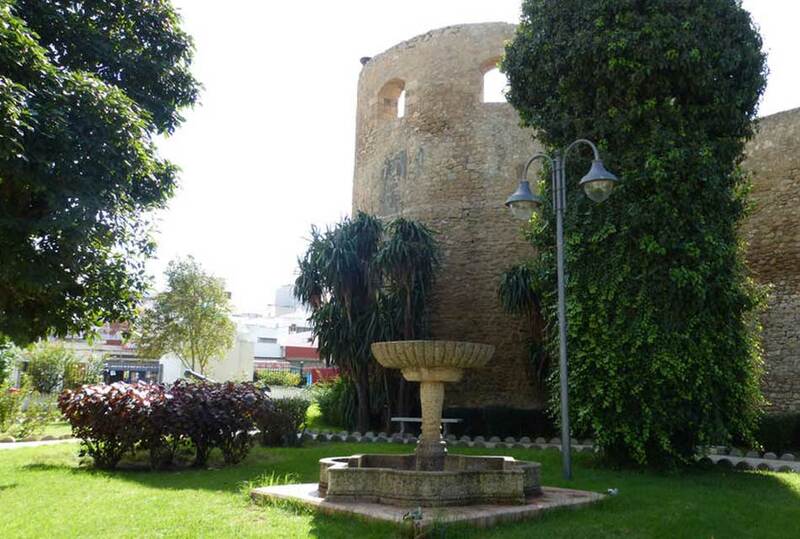 In this square, so that, you can find a Christian church, a mosque, Andalusia-style buildings, the Portuguese walls. Typical Moroccan palms surround everything in this square. There really is quite an intriguing mix of styles. first of all, let us introduce Henna for you, it is a plant, its leaves are removed and mixed with other substances, and then people use it to make tattoos on skin. 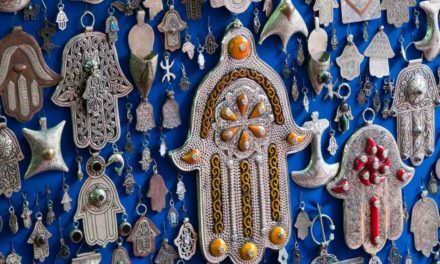 Henna Tattoos are so popular in Morocco, and in Asilah to be more specific, and when you decide to visit this town you will not leave without trying this new, funny experience. 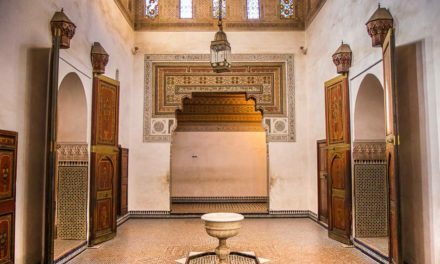 three minutes away from the old medina, youwill find a green big area called the Jardin Mahmoud Darwish, a very big, nice, attractive gardens, especially if you like crowded places, the garden is mostly closed during nights for safety. Asilah is an inspiration town, it attracts artists from other towns to it, and on its streets and walls you can find a lot of stories, paints that takes you on a travel through years and culture, Some of these murals indicate the presence of an art gallery on site, other house or the workshop of a local artist and others simply a way to decorate the wall of a house. 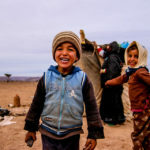 We are still far away to stop talking about what you can see or do in Asilah, if you want to discover everything you must give this little town a visit, you can still find much more places and sights in this spectacular city, and the kindness of its people is totally another story. 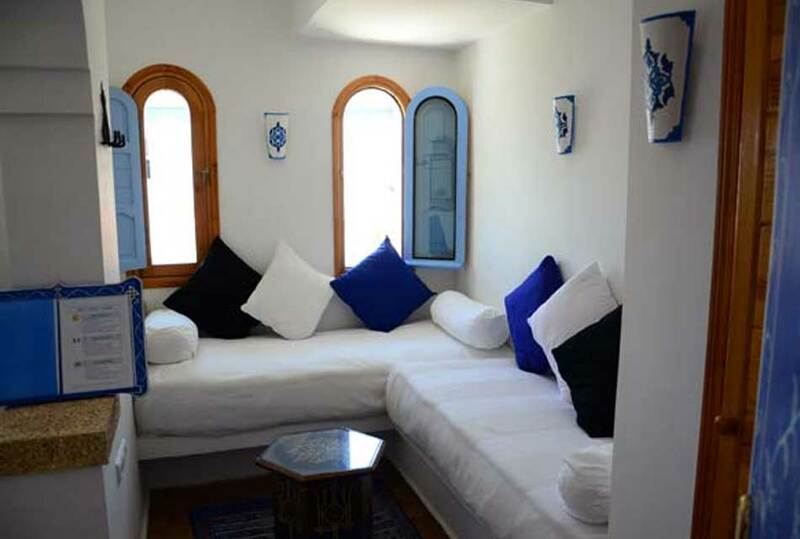 all types and prices for rooms are available in Asilah, you can choose what suites you the most from big collection of hotels that are served very well, and you will spend a nice time there in your room by the beach. 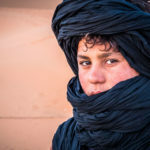 Read also: Accommodation types in Morocco: Where to stay? 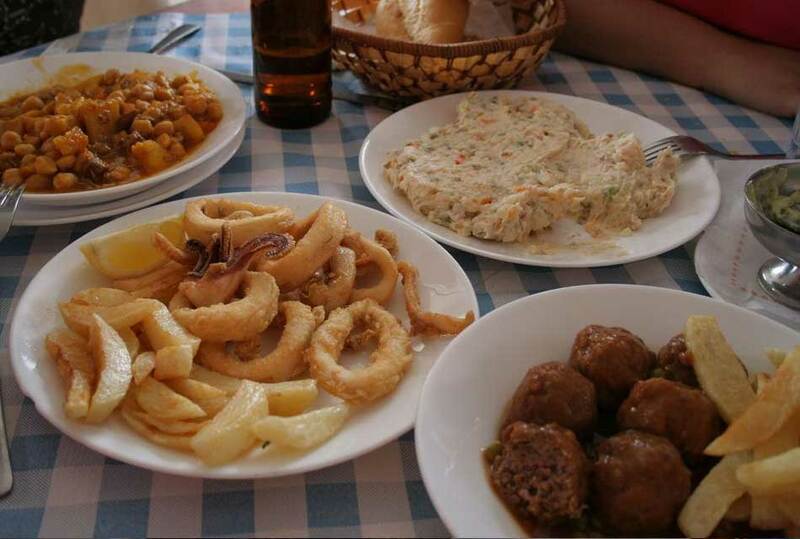 if you are a food taster and always look to find clean, delicious, new, exotic meals, you will be so happy to visit the restaurants in Asilah, they are well known for new and delicious dishes, and at the same time, you may find some meals you would not expect to. 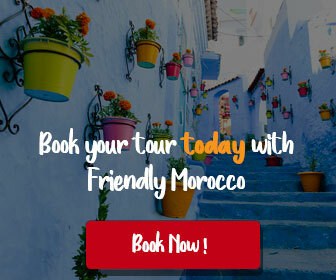 Do not miss the chance to enjoy some of the best meals in Asilah at its restaurants, and you will find that the prices there are less than other places although they provide the same or even best service. 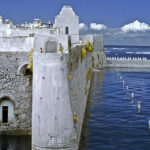 Have you ever been to Al Asilah??? 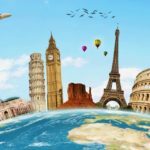 Have you enjoyed its amazing sights and places, or have you spent some time in the giant house??? 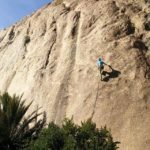 Write for us in the comments and tell us about your visit to this city if you did, write also for us and tell us if you changed your tourism plan after reading this article, would you like to visit Al Asilah?